Your Time to Visit Israel is NOW! You sense it the minute you step down from the airplane at Ben Gurion Airport. There’s something familiar, yet, very different about this land called ISRAEL. You will soon be seeing some of the ancient places of the Bible. They are all here — places you’ve heard about since you were a child are now welcoming you to the Holy Land of Israel. Daniel Rona & Steven Rona are your guide(s) in Israel. Their Jewish background, LDS, and gospel knowledge will give you an unparalleled holy land experience. Daniel Rona and his son Steven are the ONLY LDS Licensed Guides in Israel who provide a World-Class touring experience in the Holy Land. Daniel was born in Israel and educated in the United States, he later became well known in radio and T.V. broadcasting. Daniel lives in Israel where he blends his Jewish heritage and amiable Arab relationships with years of church teaching experience and broadcasting skills in presenting an exciting and unique touring opportunity in the Holy Land. Since Israeli law requires a licensed guide for every tour, there is an exceptional advantage with Daniel Rona as your tour guide. More than thirty-eight years of touring in the Holy Land has made him the authoritative and premier LDS Israel guide. He has guided more LDS tours than all other tour operators, universities and travel agencies combined. Even more beneficial is listening to Daniel, focusing on the Lord . . . feeling the spirit of the Holy Land. He brings special insights to the Tribes of Judah and Joseph, and their relationship with the Savior. Far beyond site-seeing, his tours are full of scriptural, historical and cultural insight. They are as entertaining as they are educational and enlightening. For your learning benefit, he pioneered the use of state-of-the-art headset receivers for every tour member . . . his English is crystal clear and you’ll hear every word! As an Israeli guide with a love of the Savior, he arranges the touring itinerary according to ‘events’ rather than site-seeing locations. Miles ahead of the site Daniel sets the cultural, ethnic and religious background. At each day’s end events of the day are summarized with specially prepared video programs he produced for worldwide television. You get the best of Israel . . . with an Israeli using the best American know-how . 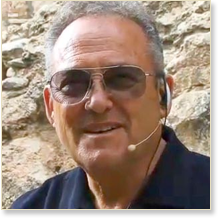 . . giving you a World-Class experience with family, friends and Israel’s only LDS guide, Daniel Rona! Touring with Daniel Rona is providing you with a ‘Spiritual Oasis in the Holy Land’ because of Daniel’s unique background, an ISRAELI, an AMERICAN, a MORMON and a JEW. 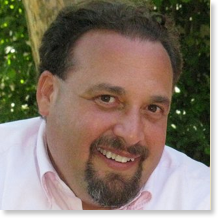 Steven Rona is an LDS Licensed Guide in Israel providing a World-Class touring experience in the Holy Land . . . much like his father, Daniel, who tutored Steven since his early years in Israel. From the age of three, living in Israel, Steven is fluent in Hebrew and loves his land and his people. Under the tutelage of his father he developed a keen awareness of his Jewish heritage; this, coupled with learning the Hebrew scriptures in Israeli schools, he relates God’s dealings with Israel in ancient and modern times with an understanding of the restored gospel. Steven brings special in­sights to the Tribes of Judah and Joseph and their relationship with the Savior. Touring with Steven helps you focus on the Lord in the land of His birth and life, stirring your spirit feelings. Far beyond entering a meaningful site, he brings to mind the scriptural, historical and cultural insight of what you are about to experience. For your benefit, he uses state-of-the-art headset receivers developed by Daniel Rona, for every tour member . . . so you can hear every word without being interrupted by distractions! As a licensed Israeli guide with a love of the Savior, he arranges the touring itinerary according to ‘events’ rather than site-seeing locations. Miles ahead of the site he sets the cultural, ethnic and religious background. By far, you do get the best of Israel . . . with an Israeli using American savvy! Steven Rona is sharing the tradition of his father, Daniel, by providing a ‘Spiritual Oasis in the Holy Land’ because, like Daniel, Steven’s unique background is that of an ISRAELI, an AMERICAN and a MORMON with Jewish Heritage. Israel is a land of contrasts, a young nation built on an ancient inheritance. From simple truths revealed to simple prophets have come many interpretations. It is a land where religious traditions compete for attention. Yet, if you look, listen and feel, you can find a "Spiritual Oasis in the Holy Land." To discover the truths in the Holy Land, four considerations should be your guide: archaeology, written historical accounts, tradition of names and places, and most important, the feeling - the spirit that touches your heart. Daniel & Steven: I can't believe how powerful the spirit has been with you. You can just feel it in the sacred places we went to. You know, we talk "LDS," because it fills such a need for you, however, many non-LDS friends who toured Israel with Steven and Daniel have said, "We were surprised, you didn’t attempt to convert us!" How pleasing it is for your Catholic friends to return home as better Catholics, your Baptist friends to return as better Baptists. Even the late Maurice Abravanel, conductor of the Utah Symphony, and the late Eugene Jelesnik, favored Utah entertainer, Jewish, who toured with Daniel Rona, each said, "I’m going home as a better Jew."